In early September 2016, the following video was captured of what, at first, appears to be a bright daytime meteor over Hungary. Moments before hitting the ground, the object does an impossible 180º turn before disappearing behind a house off camera. UFO hunters were quick to suggest that the falling debris might be an intelligently guided spacecraft of some kind, falling to Earth after taking damage from an unknown source. Former insider turned whistleblower Sgt. Clifford Stone has claimed that the military industrial complex uses advanced weaponry to bring down high-level extraterrestrial spacecraft for the purpose of retrieving technology and interrogating survivors. Furthermore, Dr. Steven Greer has brought forth information suggesting that Tesla-based scalar wave weaponry can be used to bring down highly advanced ships piloted by extraterrestrials. 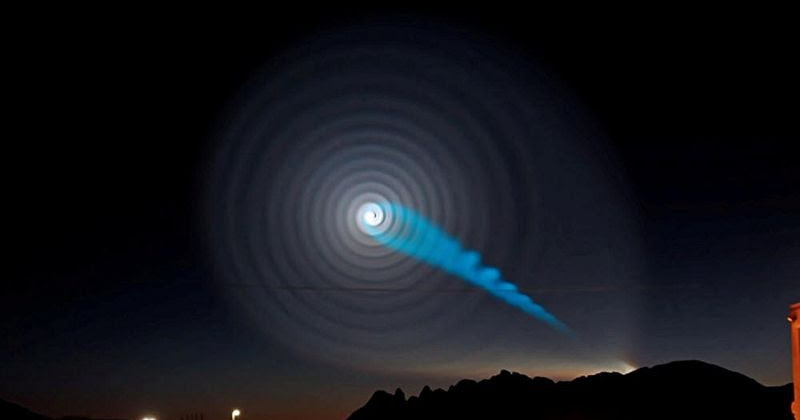 In 2013, Greer says that the Norway Spiral was one such event of this kind, which David Wilcock says he was able to confirm in his own research—although, apparently no extraterrestrial spacecraft were targeted during the event. Wilcock wrote about the spiral in his 2009 article Disclosure Endgame, claiming he proved thatHAARP has the capacity to produce such phenomenon, a weapon system capable of manipulating the weather. Another whistleblower, Corey Goode, has also claimed that secret agreements between almost every nation on Earth gave a multinational clandestine secret space program access to down spacecraft, specifically for the purpose of recovering and reverse engineering technology. In exchange for participating in a global secrecy agenda, member-nations would enjoy access to a faction of the programs known as the Global Galactic League of Nations. 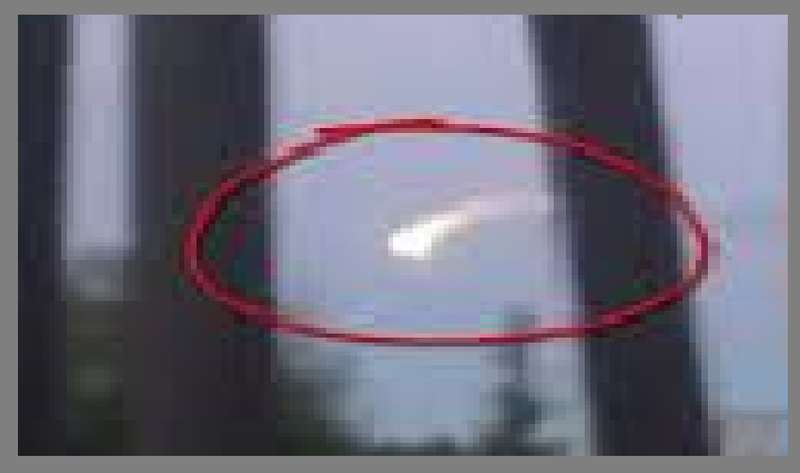 Could this sighting in Hungary be an example of a fallen non-terrestrial vehicle crashing to Earth? One that might have been hit by advanced weaponry developed in secret? See for yourself. And as always, use discernment. Here is a slowed down version of the same footage. Stillness in the Storm Editor: Does the government and corporate powers of this world suppress new inventions and technology developments in the name of protecting National Security? Yes they do. Quite frequently. The Invention Secrecy Act was officially implemented in 1951, which is the primary legal tool used to contain new inventions. But it is well established by whistleblower testimony that it was occurring in earnest long before that. Over 5,000 patents have been officially been given secrecy orders, often with little to no recourse for inventors wanting to bring their devices to the public. The data that whistleblowers have revealed, especially as presented by Steven Greer from the Disclosure Project, Sirius Disclosure, and his latest project, Unacknowledged, is that any invention which puts the existing energy monopoly at risk (the Petroleum Industries and their associates) is immediately labeled secret, and never sees the light of day. The government has also gone as far as ruining inventors lives who do not adhere to this strict policy of suppression. The following article details how this process works and how pervasive it really is. For those who think the world is shaped by inspired minds and inventors bringing their innovations to the free market, the reality is far different. The truth is, our world is essentially a manufactured illusion, with the masses enjoying only the advances that keep certain occulted or hidden forces in power. We need not espouse fanciful conspiracies in this regard. There is enough evidence in the public domain to unquestionably conclude that the technology we know and use today is a mere shadow of what really exists out there. And so long as the masses continue to accept the status quo, we’ll continue to labor under outdated and environmentally destructive paradigms. But one ray of hope is that a growing body of brave individuals is daring to share the truth with the world. And the good news once the truth gets out it can’t be suppressed again. As soon as the masses realize clean environmentally responsible free energy technologies have existed for at least the past 50 years, they will question a great many other so-called established facts of life, and our world will see a transition into a prosperous age of advancement.